Welcome to the last day of my three-day retrospective on the most important inventors of the twentieth century. If you haven't already, check out the previous posts, where I expounded on agronomist Norman Borlaug and chemist Fritz Haber. Today's inventor is less of a dark horse. Plenty of "most important inventions" lists include the invention of Penicillin as one of the most significant of the twentieth century, and in this case, they get it right. Prior to Alexander Fleming's discovery of Penicillin, the first anti-biotic, bacterial infections could and did rage through populations. From the bubonic plague to tuberculosis and leprosy, disease that scourged popualtions became easily curable with the advent of readily-available anti-biotics. There is no way to accurately estimate the number of lives saved by the invention of penicillin. Including all of the diseases treated by antiobiotics, hundreds of millions of lives saved by the discovery of the first antibiotic is a reasonable guess. It's hard to imagine a world where every year thousands of people die from preventable diseases, or die from simple burns or treatable STDs. But were it not for a chance accident with some contaminated laboratory glassware, that's what the world might have looked like. 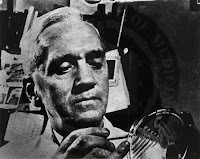 In 1928, Scottish researcher Alexander Fleming left his lab bench for a two-week holiday. He accidentally left out a culture of staph bacteria, uncovered. A stray spore of a fungus called Penicillium notatum drifted onto the culture plate, setting in motion one of the most fortuitous and momentous discoveries in modern medical science. When Fleming returned, he found the culture plate, still growing the staph bacteria, but now also home to a growth of Penicillium mold. And, in the circular halo around the mold, a clear section of culture, where no bacteria grew. Fleming realized the mold secreted a substance that killed bacteria, and the rest is history. Antibiotics were heralded as 'miracle drugs' when they were introduced, and looking back, it's easy to see that the sentiment is far from hyperbole. The ironic postscript to the antibiotic story is that the prevalence (and overuse) of antibiotics now have the potential to undo all of the improvements antibiotics have pioneered.